Struggle and disappointment go hand-in-hand with our life here on Earth. The Bible warns us over and over again that we can expect to go through hard times. However, when those hard time strike, we may feel forgotten by God. If our Father loves us so much, how could he possibly let us go through these storms of life, seemingly alone? We may feel alone, but we are far from it. He is always with us, hearing every desperate prayer and every silent tear. Our trial may be a result of living in a world that we have to be in but are not a part of. Our trial may be a strengthening lesson directly from God. Whichever it is, He will find a way to use it for His good, sometimes in very unexpected ways. We can be stubborn and blind to what God is trying to do in our lives. Every now and then, God needs to show us that He is in control. He needs to remind us that we are not meant to fix everything on our own. Sometimes, that means putting us in situations that we can’t possibly control. These situations may feel frustrating and look messy. We may even wonder how God could possibly let us go through something so uncomfortable. How could those comfortable things be part of His plan for our life if He loves us? Rather than trusting our emotions, we should trust His word. His word tells us that God wants nothing more than to take care of us. However, like any good parent, He knows when we are in need of teaching. His lesson may be that we need to let go and trust Him, even when what lies before us doesn’t make sense. This past year and half has been one giant struggle for my family. Financial hardship we can not seem to get ahead of. The divorce of my parents. Loved ones turning away from God. I’ve had just about all the struggle I can handle. But recently, I have shifted my perspective from one of despair to one of gratitude. These struggles have directly lead me to the deep, personal relationship I have with God. This is a relationship, that I did not have, and would not have sought out on my own, a year and a half ago. I am now certain that leading me to Him was a part of the purpose in my struggle. I will continue to gladly accept struggle if it means I get to be close to the Lord. A few months ago, more bills flowed in than we had money to pay for on our already very tight budget. Both of our vehicles had broken down, our washing machine stopped working, and our utilities were much more than expected for the month due to the freezing cold Minnesota weather. The very next morning, my girls were playing in my room and looking through a box that I keep all of our old birthday cards. All of a sudden, my 5 year old says, “Mommy, look! I found some money in this card!”. And there, inside a baptism card that had been in that box for 2 years, since our youngest daughter had been baptized, was $100 bill. While, the Lord didn’t fix all of our struggles overnight, He gave us just what we needed in that moment to get by. That morning restored my faith. I knew that no matter the struggle, He will provide what we need, when we need it. All He asks for is our complete trust. Since that morning, He has provided even more. He has opened the door for opportunities with my writing. He has improved aspects of my husband and I’s other jobs. Things, that can’t be explained by anything other than God had His hand in it. 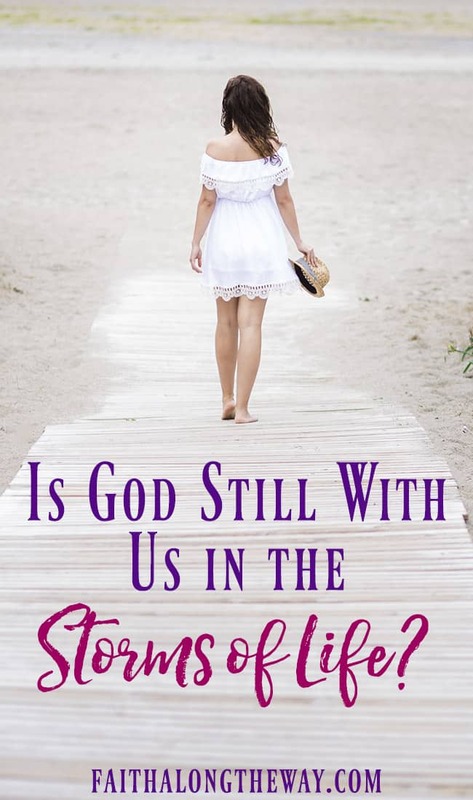 When life seems so uncertain that you cannot think of any logical way that things will ever get better, that is your opportunity to step aside, stop your worry, and let our all powerful God show you what He can do. 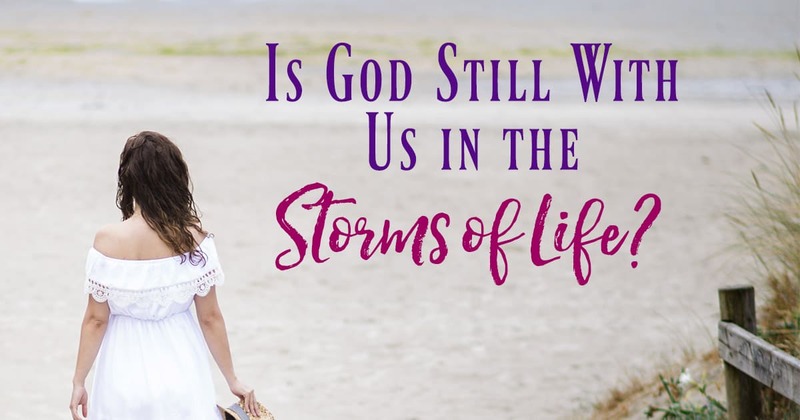 How do you trust God in the storms of life? 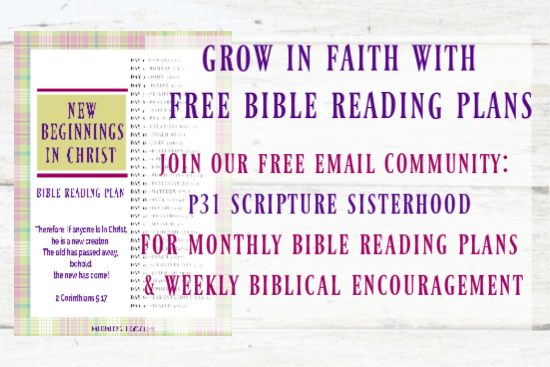 Meghann Jerviss is the author of Bring Us Closer: Scripture Based Life Lessons For Kids and the blog Bring Us Closer, a space that she uses to bring families together and closer to God. A lifelong Minnesota native, Meghann currently lives in a small rural community with her husband and four children. She uses her love of writing to inspire other families to live a Christ centered life, knowing firsthand the challenges that parents of young children face.